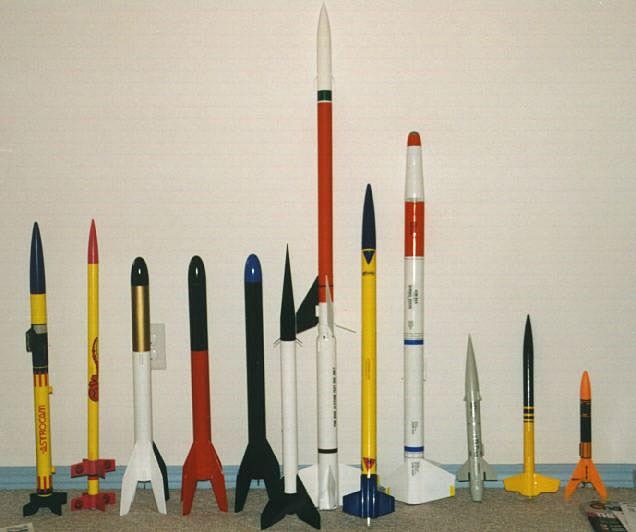 Most of my rocket fleet, as of late May, 1997, and just before I graduated to some Aerotech rockets. From left to right: Rastrocam, Mongoose, Super Big Bertha, Big Bertha 3 (Astron Ranger), Big Bertha, Black Brant II, Terrier/ Sandhawk, Maniac, Python, Bull Pup, Yellow Jacket, Alpha III. 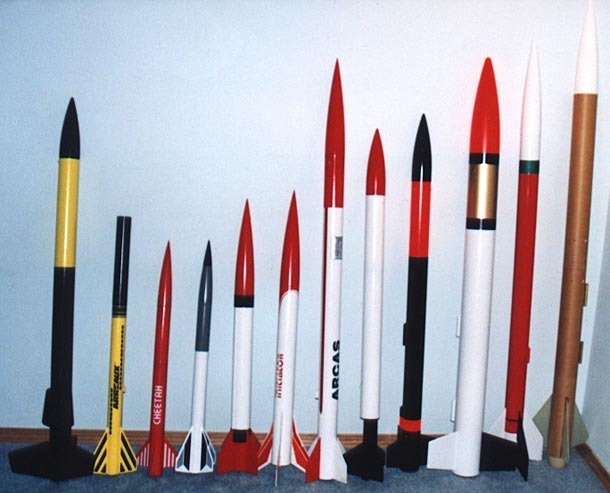 My larger rockets as of late February, 1998. From left to right: Shadow #2, Arreaux (minus nose cone), Cheetah, Mustang, Wart Hog, Initiator, Arcas, Viper III, Hi-Tech H45, EZI-65, Sandhawk, Sudden Rush (in progress).